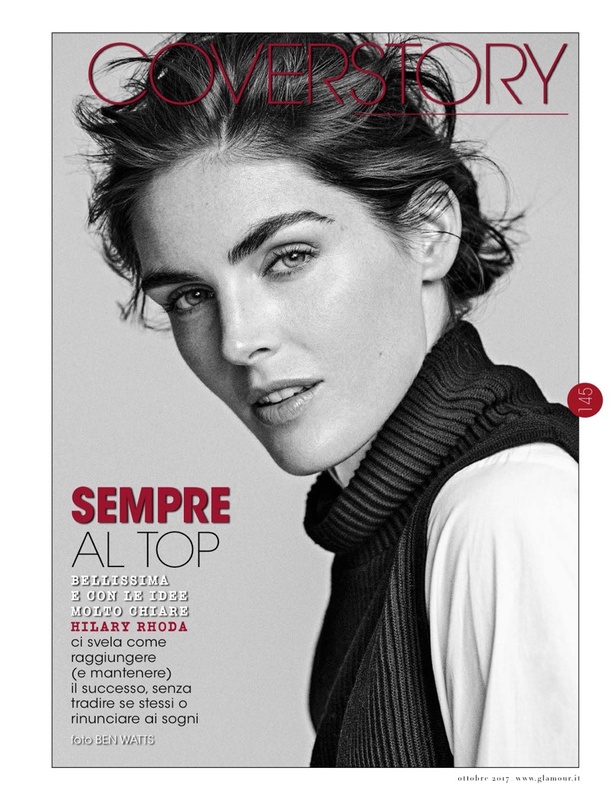 Hilary Rhoda graces the October 2017 cover of Glamour Italy. Photographed by Ben Watts, the brunette kicks up her heels in a sleeveless jacket and tulle skirt from Dior. 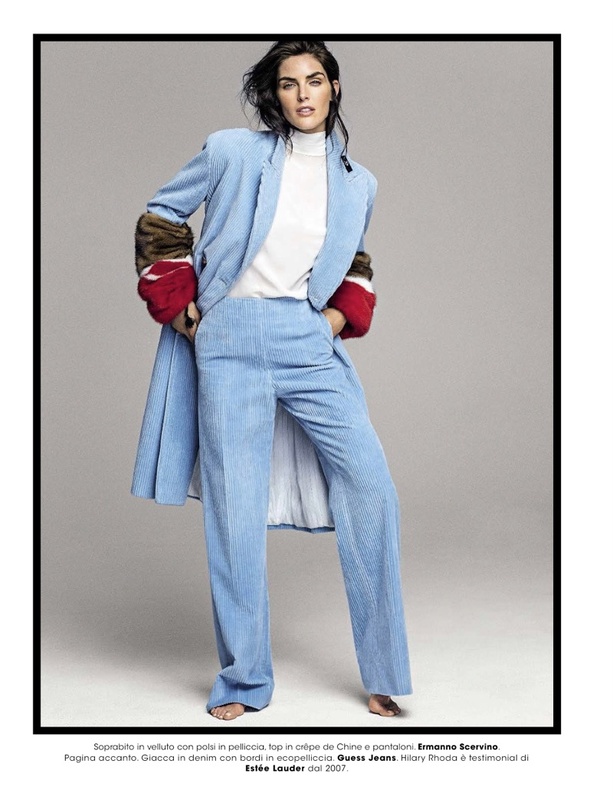 In the accompanying spread, Hilary poses in the fall collections with chic layering. 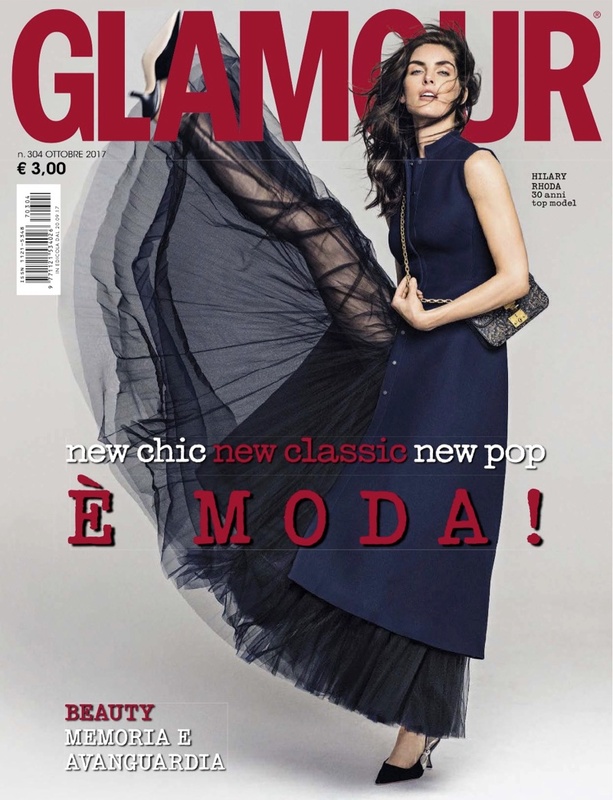 Fashion editor Pina Gandolfi dresses the leggy beauty in the designs of Fendi, Ermanno Scervino, H&M Studio and more.